Aviation Updates Philippines - An Airbus A330-300 aircraft of Cebu Pacific Air, operating as flight 570 to Manila, was taxiing for departure to Runway 22 when the aircraft's nose wheel went off the edge of the runway at the Mactan-Cebu International Airport. NOSE WHEEL STUCK. 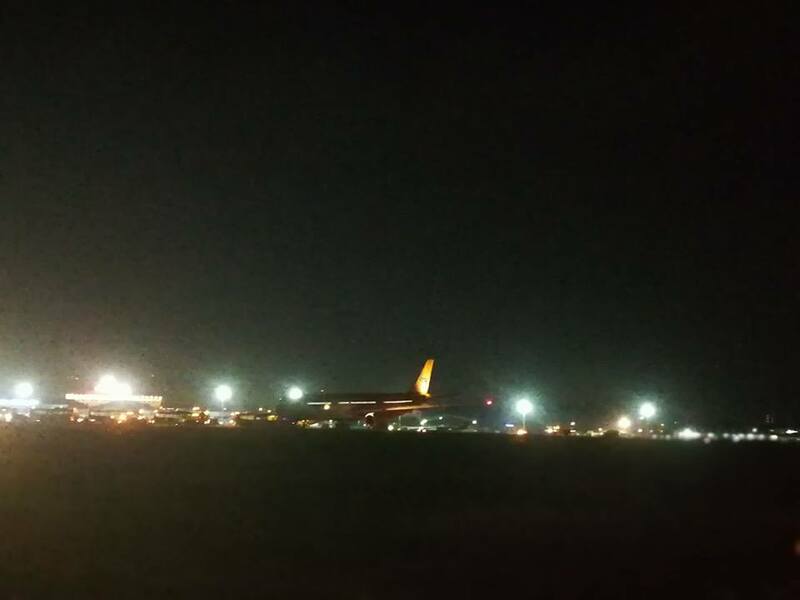 Cebu Pacific's Airbus A330-343E RP-C3341 was stuck in soft ground when it made a 180-degree turn at runway 22 in Mactan. Photo by Gerard Montejo - PPSG. According to social media updates by the low-cost carrier, the aircraft was carrying 435 passengers and three infants when it was preparing for take-off at about 6:54 PM local time. The aircraft involved, RP-C3341, is still grounded in Cebu pending investigation and inspection for possible minor damages. The Aviation Herald, an aviation news website, stated that the aircraft "entered the runway at taxiway D to backtrack runway 22, then turned around to line up for departure". At that time, Runway 22's threshold was displaced by 710 meters due to work in progress. Fortunately, none of the passengers were injured due to the incident. The airline assured passengers were given meals, refreshments, and travel vouchers. They were rebooked on new flights, with the last passengers leaving Cebu at 4 AM local time. “We have been coordinating with airport authorities since the incident occurred Friday night. We are also coordinating and cooperating with the Civil Aviation Authority of the Philippines for an investigation regarding the incident, as we take the safety of our passengers very seriously,” Cebu Pacific said in an advisory. Due to the incident, airport operations were disrupted. It caused several delays which greatly affected airline operations. Flights have been diverted to nearby airports, in Bacolod and Iloilo. The airport reopened at 10:25 PM local time. Cebu Pacific has sincerely apologized for the incident stating: "our apologies for the inconvenience this incident has caused."